What is Different About the Tuning? AT LAST! THE NEW, 2ND CD YOU HAVE BEEN ASKING FOR! This time it is however divided into 20 shorter tracks, as some of you requested, and you will find a slightly different style. You can sample excerpts from five of the tracks here. They don't have names, other than Track 14, or whatever. They are selected from just two evenings of improvisations. Ask for it in your local music store, so that they will stock it. You can also however buy it here online. And it is available on iTunes. The price has been brought down from (Can.) $20 to $14, (also for the first CD) to bring it more in line with today’s prices. Please send us your comments on it so we can publish them. Some are below, and see also the comments on Transparencies. I have been agreeably surprised to find how much many of those who have it, really love it, and have been playing it for years. Some use it for meditation, some for accompanying massage or other treatments, some for waiting rooms, and some just for relaxing. Ted Jolly, Massive Music America www.massivemusicamerica.com: "Thank you for the CD package you sent us recently. I listened to Transparencies and Transparencies Too all last week and all I have to say is...WOW! The CD's have many more melodic elements than I expected and I think that your playing is absolutely brilliant. I found your music to be very peaceful yet powerful at the same time..."
Doug Treadway, Nightflying (www.nightflying.com) Free entertainment magazine distributed in Little Rock, Arkansas and throughout most of the South-Eastern U.S. Reviews and features on all kinds of music, as well as show listings for the region: "Ah, soothing and relaxing solo piano, with many single-note melodies that lightly wander the scale, this is what I should have put on the player first thing in the morning to ease my way into the day. But then it also serves to cleanse the palate, so to speak, after a run of hard and fast rock. And I reckon it would be the perfect soundtrack for a nice hot bath before retiring at the end of a cold, hard day." Smother Magazine (www.smother.net) Music Reviews of World Music, Adult Contemporary, Reggae, Jazz, Blues, Classical: "I think it is amazing and life-inspiring to hear the work of a 74-year-old. Graham Jackson may be ripe and well-worn in life, but he still has a fresh musical voice. Stretching out his musical limbs on a relaxing journey of an album, Jackson paints beautiful compositions on piano. He prefers to use a lower concert pitch of A - 432, which he feels is more natural than a standard tuning. Regardless, the results are staggering and peaceful." 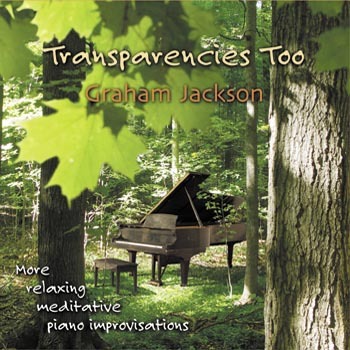 Elyse Pomeranz, Toronto: "The improvisational piano music that Graham Jackson creates is soothing and strengthening....I experience that it supports me to balance myself . If I am depleted and irritable it energizes and soothes me. If I am anxious or over-excited it has a calming influence. When I was a Waldorf class teacher I would often play this music in the evening as I looked back on a very full day of success and failure. The music accompanied me through many ups and downs. When I put it on I found myself breathing more deeply and allowing my feelings to wash through me. This second CD, Transparencies Too, has many of the same qualities. In addition I find it wonderful to listen to as I take care of household responsibilities....ordinary tasks are made joyful." Chris Specter/Midwest Record Recap, 5/21 Edition: "Not your typical New Age noodler, Jackson, at 74, follows up his 1991 release, at long last. A well rounded piano man that knows how to deliver mellow, but not in a way that puts you to sleep. Jackson's piano miniatures are sure to draw you in if you are looking for an escape hatch..."
Charles Barber, Abstract Logix: The Center of the New Musical Universe:"...The theme of this recording is one of intense relaxation as Jackson's technique and specialized tuning creates an environment of calmness for the listener that works well for massage, meditation or just decompresssing at the end of the day. At 74 years young, Graham Jackson's musical career spans four decades. He is both a teacher and performer of music and you can really tell that the man has mastered his craft. His music falls into the New Age/Instrumental category and is sure to please fans of George Winston and Jim Brickman. Transparencies Too succeeds in offering a nice relaxing escape while engaging the listener at the same time." Accent Magazine (Florida, Las Vegas, etc. entertainment publication; circulation 5,000+): "...The 20 beautiful piano improvisations inspire a full range of emotions, and reflect the one central theme of this beautiful recording, immense relaxation." ON NPR: National Public Radio's Morning Edition is one of the most listened-to programs in the USA. They are also famous for announcing their musical interludes and listing them on the website. On April 28, they played an excerpt from Track 13 at the end of a review of the new hit movie, United 93. A listener heard it, and e-mailed me to learn where to buy the CD. As they also listed a bit of Track 18, it must have also been used somewhere. The NPR station commented, "We had quite a few people ask about it". You can hear the movie review plus music through this link. ON CBC: Disc Drive with Jurgen Gothe is one of the most popular programs on CBC's Radio Two. On December 12, he played Track 4, "because it sounded Christmas-y". WUSM, Hattiesburg, Mississippi: It's getting light rotation. New Age Reporter: Playlist Spins for month of May - at No. 38 of 100 - a strong showing. Accepted as of June 25, 06, into the libraries of 80 radio stations, across America, inluding Hawaii and Alaska, CBC Digital, and stations in Netherlands and Romania. NPR, Washington, D.C.: "We had quite a few people ask us about it." CBC DIGITAL, Toronto, Ontario: "Graham's music is so soothing and inspirational. I love it." SLOR, Ridderkerk, The Netherlands: "Will be in the May Top 20! Very fine!" KBUT Crested Butte, Colorado: "Nice piano stuff"
WTUL, New Orleans, Louisiana: "It will be getting some play for sure". KRCB, San Francisco, California: "I played a couple of cuts from it on my just-ended all-night show. It is very nice." KSYM, San Antonio, Texas: "I enjoyed the soothing sounds of Transparencies Too. It's just a hard fit." KZMU, Moat, Utah: "It's a neat record". KASU, Jonesbvoro, Arkansas: "Very nice CD. Thanks for sending it. WERU, Bangor, Maine: "Good piano stuff". WWSP, Stevens Point, Wisconsin: "...will be placing it into rotation for the next show in two weeks. I enjoyed the improv. works. It's a nice relaxing ride." WFIT - NYC, New York City: We have charted 10 plays for this week. Nice record!" KSER - Seattle, Washington: "Loved it! We'd like some extra copies for give-aways if you can spare them." KXCI - Tucson, Arizona: "Thanks for sending it to us! Really nice piano album!"  KCHO/KFPR - Chico/Redding, California: "Well done." KRSC - Tulsa, Kentucky: "Very nice!" KPBX - Spokane, Washington: "Enjoyed it." KRCL - Salt Lake City, Utah: "It's nice! Great piano sound! KKCR, Kauai, Hawaii: "Great piano stuff. It's in our system and available for play." WPXR, Rhinelander, Wisconsin: "Very soothing." WQFS, Greensboro, North Carolina: "It has been played on our "To Heal the Heart" show." WXXI, Rochester, New York: "Good one!" WTUL, New Orleans, Louisiana: "Wonderful! We love it are charting it to NAR (New Age Reporting Station). WDCE, Richmond, Virginia: "Very relaxing music." WMNR/WGRS/WRXC, Fairfield, Connecticut: "It will be geting airplay in late summer or early fall. Plan on using Tracks 1, 4, 5, 11, 12, 13 and 15."